TOKYO — Japan Inc. where companies with roots going back decades, if not centuries, have long dominated, is finally warming up to startups. Major banks and venture capitalists are keen to tap into faster growth by investing in innovative entrepreneurs, when they can find them. Money raised for ventures in Japan reached a record 276 billion yen ($2.5 billion) last year. That's up from about 50 billion yen ($450 million) annually after the financial crisis, according to Japan Venture Research Co.
Silicon Valley still raises 50 times more cash for startups than Japan, but the number of U.S. startups chasing that cash is higher. So there's relatively more money to go around in Japan, where young, daring risk-takers are still relatively scarce. Still, he says Japan needs a change of "mindset." "Japanese value hard work, but what creates innovation is not keeping at the hard work but deciding it is too much work and figuring out how not to do it," said Asakura, who led a turnaround as chief executive at Mixi, a social networking service in Japan. He now sits on boards of two startups — Raksul, an online service that farms printing work out to plants nationwide, and digital hotel reservation service Loco Partners, which recently was bought by Japanese telecoms operator KDDI. "There is potential for startups in all the old-fashioned sectors," he said, pointing to growing use of digital tools in education and home-remodeling. "Creating a totally new sector is one way. But there are many old areas that need fixing." 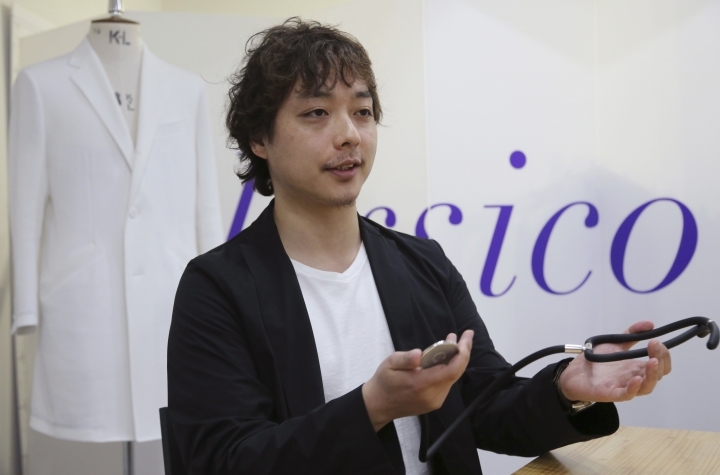 His Tokyo-based startup Classico sells stylish lab coats and scrub tops online to doctors and nurses around the world, especially in the U.S. and Japan. Classico coats cost about $200 each, about seven times more than utilitarian conventional ones, but are more fashionable. Classico's U Scope is made of a more pliant material than traditional stethoscopes, whose basic design has been the same for a century. It can be rolled up to fit into a pocket, and doctors say it's light and easy-to-use. This year, it won Germany's iF Design Award and Red Dot Design Award. "In the medical industry, even if you do what's considered normal in the internet world, everyone says it's new," said Ohwa, 36. Investment by financial institutions and manufacturers, some of whom are setting up corporate venture capital funds, is driving the startup boom. Local companies that once tended to think locally without considering overseas markets increasingly are focusing on global platforms, said Akira Kitamura, chief executive at Japan Venture Research. "Companies are investing in open innovation because they don't want to end up like Sharp or Toshiba," said Kitamura, referring to big-name companies whose fortunes have fallen in recent years. Japan's earliest "startup" ventures were in the 1970s. The 1980s brought internet giant Softbank Corp., travel company H.I.S. and the Culture Convenience Club, a video-rental chain. Online retailer Rakuten and game company DeNA were born during the dot.com boom of the late 1990s-early 2000s. Until recently, such newcomers were viewed by suspicion. The classic example is Takafumi Horie, whose downfall was as dramatic as his ascent as a star entrepreneur and founder of dot.com Livedoor. He was convicted in 2007 for financial crimes that usually do not land old-guard executives in jail. 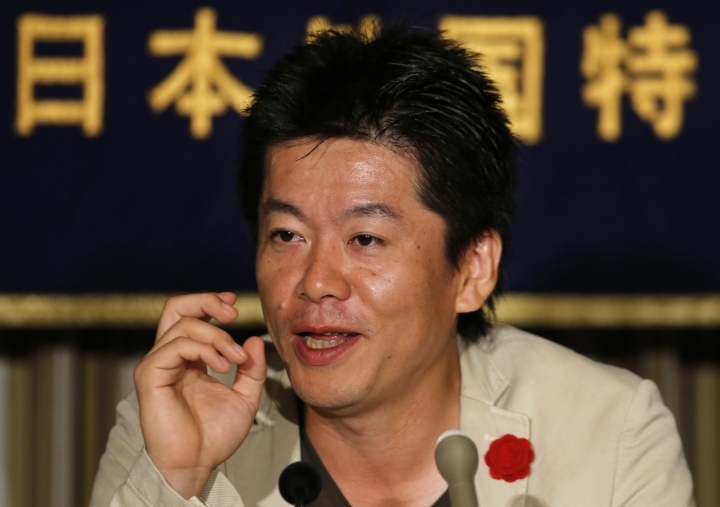 Horie, who pleaded innocent, spent nearly two years in prison. Startups still face other hurdles in Japan, where initial public offerings remain the main exit option, rather than the relatively easier mergers and acquisitions approach typical of the U.S. and Europe. 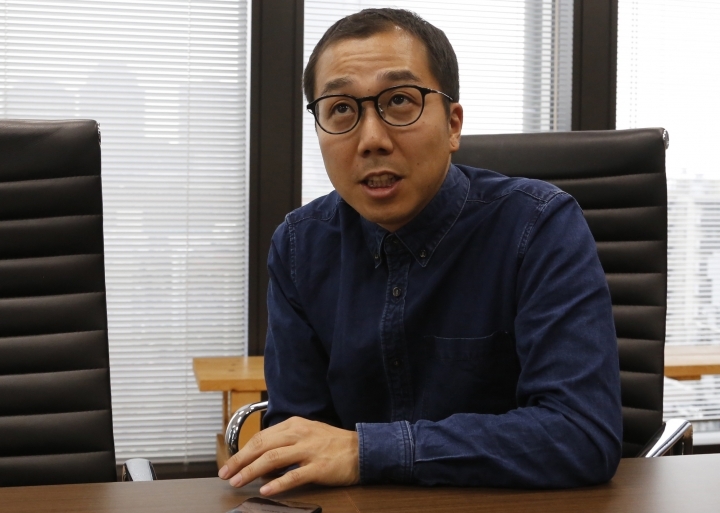 Yusuke Umeda, 35-year-old co-chief executive of Tokyo-based startup Uzabase, is banking on a smartphone subscription news service focused on business and economic news. Umeda's NewsPicks service has attracted 2 million users who each pay 1,500 yen ($14) a month, 550,000 of them daily active users. It eked out a profit last year on nearly 3.1 billion yen ($31 million) in sales last year, up 63 percent from 2015. The service produces original stories and collects and curates reports from The Wall Street Journal, Forbes Japan, TechCrunch and other news services. It also adds comments to items written by its own pool of hired writers and experts. "And so they know it's not fake news," Umeda said. While working for the Swiss investment bank UBS, Umeda found Western financial data services hard to use. He launched Speeda, a Japanese-language service designed for financial professionals in 2009, and NewsPicks in 2013. His company has gotten 1 billion yen ($9 million) in Japanese venture money from investors such as Globis, Monex and Itochu Technology Ventures. 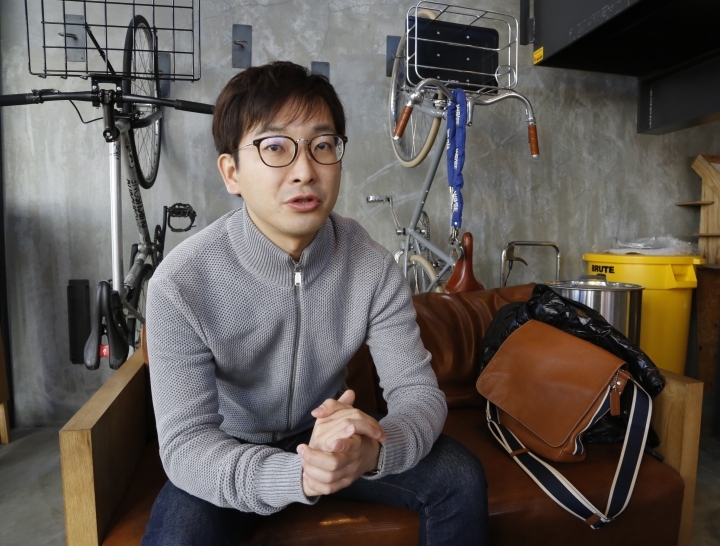 "It's unimaginable how easy it has become to get funding from both big companies and venture capital," said Umeda. "The culture to nurture startups and try out new businesses is also growing. That was totally absent eight years ago. That's a big change. And I think that is positive." Some startups, like software distributor Sourcenext Corp., serve as bridges between Japan and the rest of the world. Sourcenext helped facilitate launches of Dropbox and Evernote in Japan. Its iOS and Android voice-recognition application, iGotcha, transcribes voicemails into text in 11 different languages. The app sends messages to email and Facebook Messenger accounts by WiFi and collects and organizes voicemails from a user's mobile phone numbers. Noriyuki Matsuda, the company's billionaire chief executive, founded the company in 1996 in Japan but has lived in California since 2012. While the climate toward ventures is gradually improving in Japan, it still hasn't caught up with more globally-minded Silicon Valley, says Matsuda, 51. "You can make deals there," Matsuda, who used to work for IBM Japan, said of Silicon Valley. "There are many advanced tools that have been developed in Silicon Valley, and we bring those products and the culture to Japan."